The team behind the critically acclaimed revamp of Batgirl returns with an exciting sci-fiaction-adventure series! By day, Domino Swift competes for fame and fortune in a worldwide motorcycle racing league. 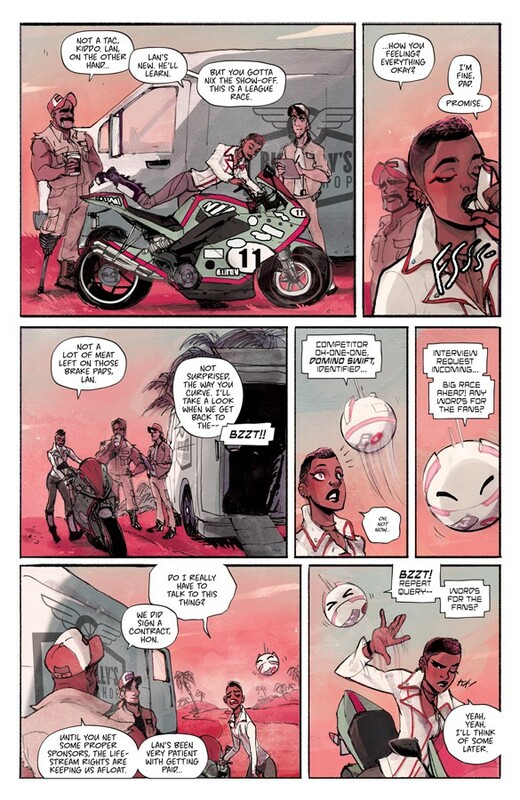 By night, she cracks heads of rival gangs in brutal bike wars to gain possession of a rare, valuable contraband: an engine-boosting “machine narcotic” known as Crush. Featuring Part One of ISOLA: PROLOGUE by BRENDEN FLETCHER and KARL KERSCHL!